A new incident has occurred in the British town of Salisbury that hit the news in relation to the poisoning of a Russian ex-spy and his daughter. A man has passed out in the town center, provoking an emergency response. UK police have closed a road in Salisbury after a man “in his 30s” had reportedly “fallen ill” right outside the Zizzi restaurant in Wiltshire, where the former Russian double agent Sergei Skripal and his daughter, Yulia, had dined on the day of the chemical attack, in which a nerve agent –dubbed Novichok– was used. 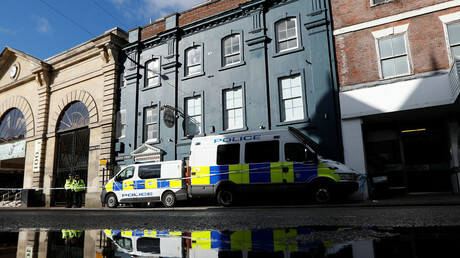 Emergency services have been seen outside the restaurant as police cordoned off the area. The Police have confirmed the incident in a Twitter post but provided no details. The reasons behind it remain unknown. We understand that our initial response to the incident may have looked alarming, but we hope you appreciate why we needed to take this highly precautionary measure. We thank you all for your patience and understanding. This fresh incident comes less than two weeks after a couple, Dawn Sturgess and Charlie Rowley, reportedly fell ill after coming into contact with Novichok in the town of Amesbury, located some 13 kilometers away from Salisbury. Sturgess died days later. The Amesbury incident victims are believed to have been exposed to the same nerve agent believed to have poisoned Sergei and Yulia Skripal in early March. The Skripal poisoning case caused a major international scandal, as London accused Moscow of being behind the suspected chemical attack, though it presented no evidence substantiating its claims. Despite the British government blaming Russia, police have not named suspects in either poisoning incident. In May, the UK’s national security adviser Sir Mark Sedwill said authorities did “not yet” know who was responsible for the Skripals’ poisoning. On Wednesday, the UK counter-terrorism chief, Neil Basu, admitted that the British authorities are not even able to determine if the two incidents are linked. He also said he could not guarantee that those responsible for the attacks would be caught.